Living in New York City has opened many opportunities for me as a photographer, and one of the coolest ones so far has to have been being hired to photograph the Solstice in Times Square event this year. 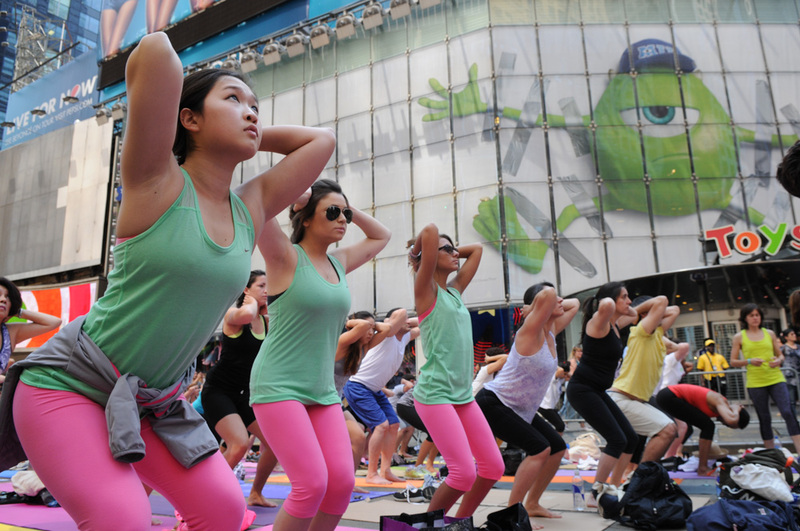 During this event swaths of roadway in Times Square are repurposed to make room for over 8,000 yogis who take classes throughout the day, from 7:30 a.m. to 9:00 p.m., amidst the chaos of crowds and overload of commercialized stimulation. 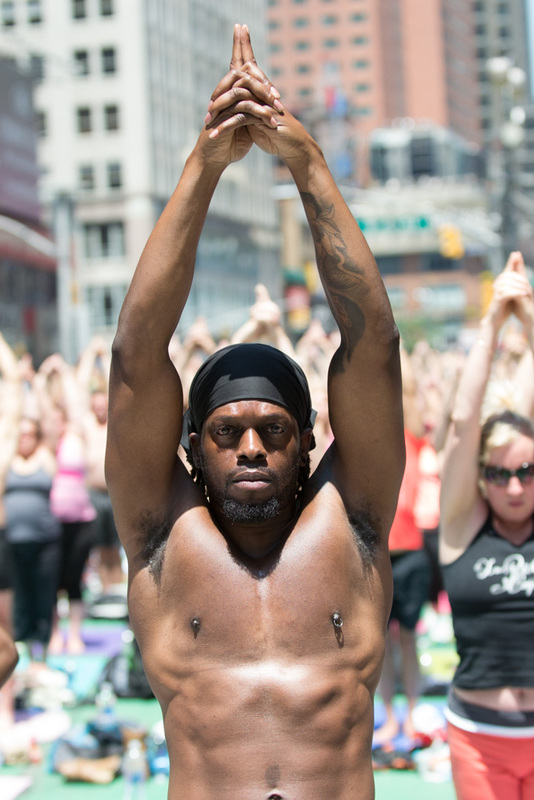 I was found on the google by Jennifer Gomez of the Times Square Alliance due to my specialization in yoga photography. Being a yogi myself I have mixed feelings about the commercialization of yoga, but I trust the universe knows what it is doing. If we can't chant down Babylon then at least we can bring calm and compassion into the heart of it, and hope it will spread. As a photographer of course the opportunities for stunning images there were endless, and as much as I love to photograph yogis in "nature" I also love the urban landscape and all it has to offer. The longest day of the year was hot and the sun blessed us with its light, radiating back up from the pavement and off of the buildings to create a perfect environment for yoga asana practice. There was a Bikram yoga class in the middle of the day, and those folks seemed to be right at home. After that my shift ended, but I came back in the evening to grab some night photos. Deep gratitude to Jennifer and the folks at Times Square Alliance for hiring me to document the event.